The second stage of the second branding phase–Clarifying and Articulation– involves clarifying your brand strategy. 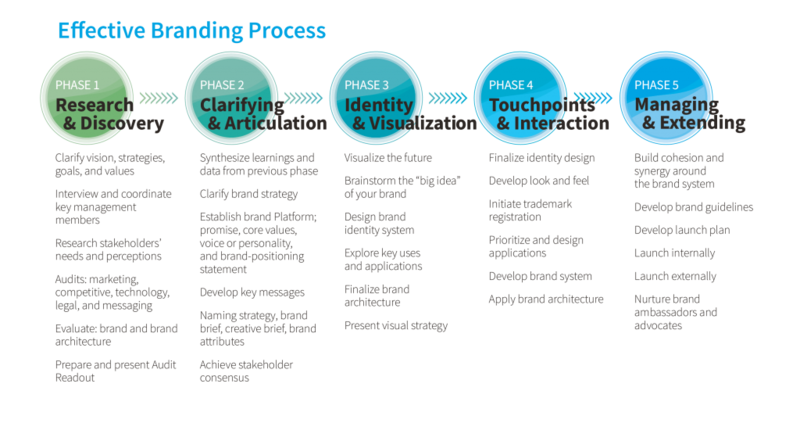 We discussed brand strategy briefly in Phase 1, but in Phase 2 you need to apply everything you learned in Phase 1 to your brand strategy. Your brand strategy should, at this point, begin to expand and include everything you learned from synthesizing your learnings. Your brand strategy lays the framework for all that your brand will be built on as it grows. It answers several questions and can include guidance that can be used in answering future questions that may arise from time to time. Your brand strategy needs to help answer questions that will help guide everyone within your organization, in knowing how the brand approaches many things. What it should not do is cause questions or confusion. Your brand strategy should set out to provide guidance in at least four key areas. However, you can have it be as meticulous as you want. The four areas you should include are detailed in the following sections. Your brand positioning includes your target audience. Is your brand a B2B, B2C, or B2A? Your audience needs to be addressed to remind you who interacts with your brand. If you are B2C, the way you interact with your customers would be different than how you would interact in a B2A relationship. Are you dealing with a male hobbyist who will only casually interact with your brand, or an office manager who is looking to improve processes she is responsible for overseeing? Does your product cross lines? Defining your target audience will help you avoid sending confusing or muddled messages. Your brand positioning is also more than just who you’re selling to. It establishes where you fit in your market. When you effectively establish your brand position, you define who you are and what makes you unique from your competitors. Your brand promise is an extension of your brand position. What is your brand willing to do for your customers? What will your brand provide your customers? Your brand promise must be honest and attainable not only for your customers, but also for yourself and your brand. If you over promise and under deliver, you are giving your customers a reason not to trust you. You’re also providing your competition a way to come in and steal customers from you. What is your brand’s story? Your story can be an incredibly powerful tool. It can connect you with your customers at an emotional level. Do you have a story that is relatable? Perhaps its humorous, sad, inspiring, or something else. Not only will your relationship with your customers be improved, it can serve to remind where your brand came from. 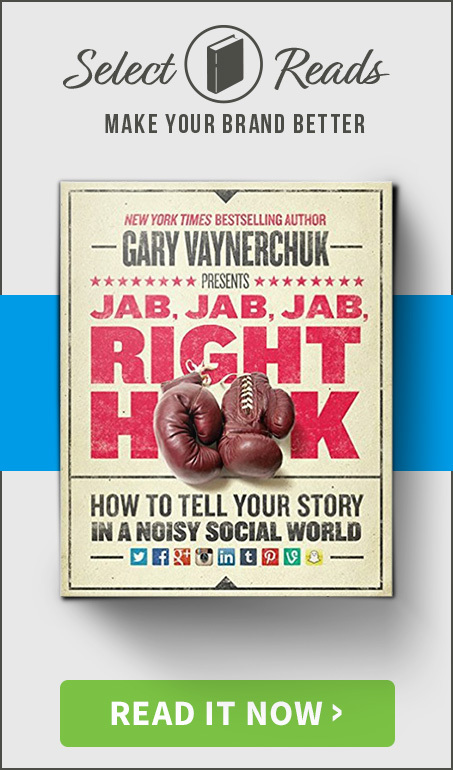 If you’re honest and open about your story, you know that your brand will be unique from anyone else in your marketplace. Your story should be simple, short, highlight success, and most of all be honest. 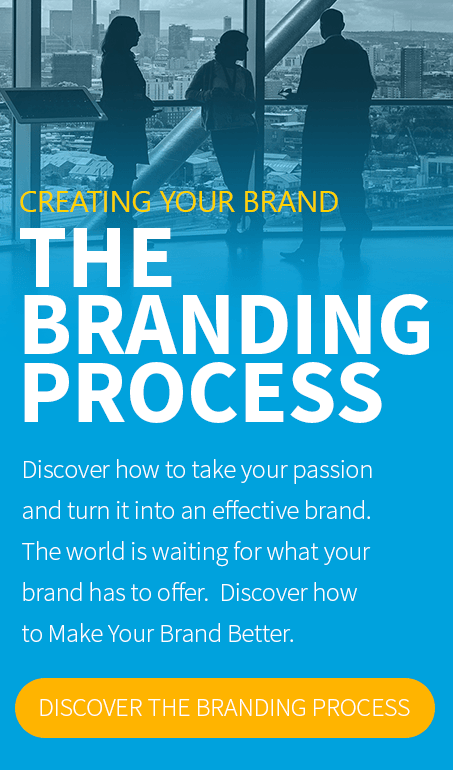 In addition to these four areas as you continue to work through the branding process you may find you want to include other areas such as brand mission, brand values, brand vision, elevator pitch and key messaging, personality, voice, and more. Your brand strategy is and should be a constant part in everything your brand does. You should not move your brand in any direction that is contrary to the strategy guide. We would love to hear how your strategy is coming along. Share your thoughts, experience, and struggles below. This way we can all work together to make your brand better. Create the outline for your brand strategy. Focus on the four base areas and create your rough draft this week. Identify two additional items that you can, based on research, include in your strategy guide. Enlist an additional person to help you flush out your strategy. (B2A) Business-To-Administration: These business relationships are between a business and public administration. This area involves things such as social security, employment, legal, financial, and so on. (B2B) Business-To-Business: Name given to business relationships between companies. This area often involves one business selling services or goods that another business needs to perform their services or offerings. (B2C) Business-To-Consumer: This deals with relationships between businesses and consumers, who are the end-users of the business’s products. Brand Promise: The expectation the brand owner has in relation to what the brand must do, is willing to do, and what it will provide their customers. Brand Position: How a brand defines their target audience, competitive differences, brand solutions, and their unique selling proposition (USP). Can also be referred to as brand positioning statements, brand strategy, brand essence, and positioning strategy. Brand Strategy: A company’s long-term plan for the development of a brand into a success. Brand strategies include goals and affects all aspects of a business. Brand Voice: The method and style in which your brand communicates with customers, projecting your brand personality. Brand Mission: The short written out explanation of your brands purpose, defining your scope and direction in plain simple terms. 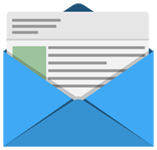 The BrandingPower newsletter is your source for FREE weekly branding information. 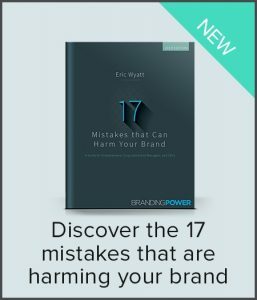 Subscribe today to receive this valuable weekly resource that can help make your brand better than ever. Thank you, please check your email and confirm your subscription!